Whenever Kaizer Chiefs and Orlando Pirates meet, emotions always run high. The excitement of the Soweto Derby cause supporters to wear all kinds of clothes and also do all that is possible to show their love of the game. 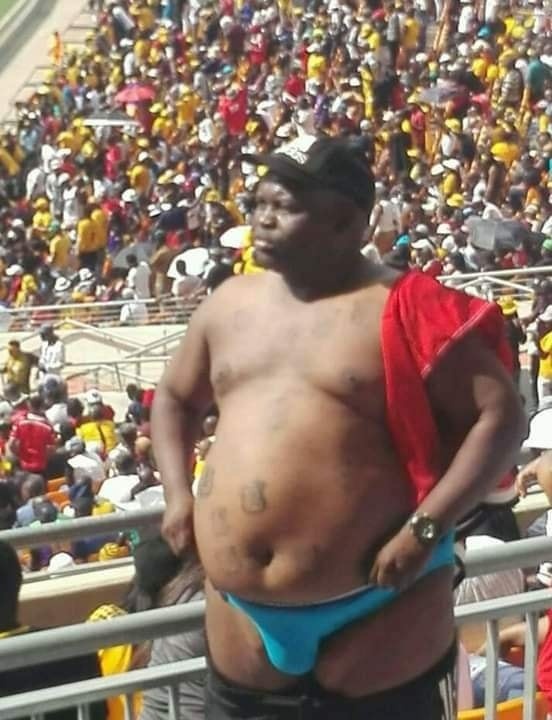 It was not different when the two Soweto giants met on Saturday. 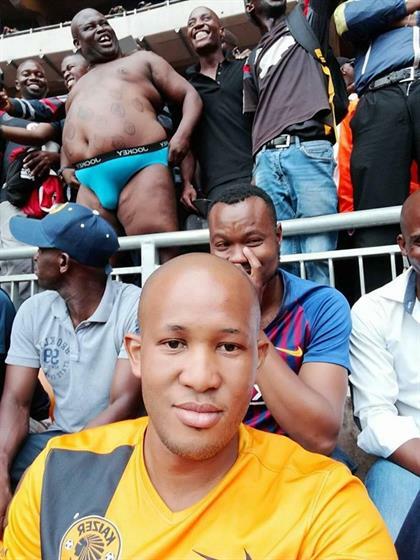 A picture of a half naked Kaizer Chiefs fan has emerged on social media and people have mixed reactions over it. In it, the soccer fan has lowered his trousers and revealed his bum for all to see. 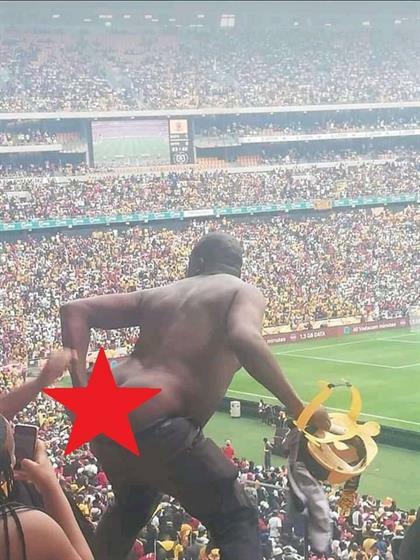 That is some of the excitement that comes with the Soweto derby. What do you think about this picture? I'd do the same to show support to my team. 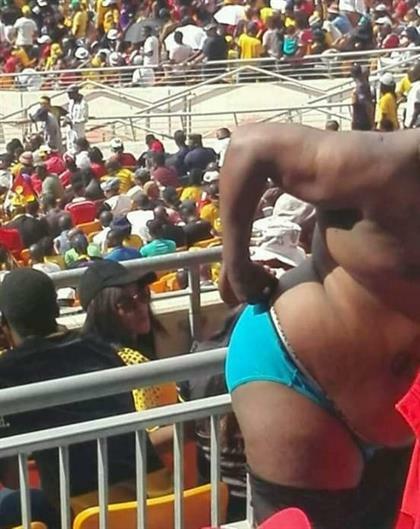 This is the reason i don't go to stadiums. Nothing wrong. The man is just happy.